The former head of the Texas attorney general's consumer protection division says it was he — not then-Attorney General Greg Abbott — who decided how the office should investigate Trump University. The former head of the Texas attorney general's consumer protection division says it was he — not then-Attorney General Greg Abbott — who decided how the office should investigate Trump University, the now-defunct business seminar operation that is facing a class-action lawsuit and a world of political scrutiny as Donald Trump continues on the presidential campaign trail. “My decision to approve the request to investigate and to devote state resources to that investigation was made without regard to the fact that the company was associated with Donald Trump,” David Morales, who managed nearly a dozen civil litigation divisions during Abbott’s tenure as attorney general, said in a statement circulated Friday. “To be clear, I did not discuss this matter with General Abbott,” he added of the Texas governor, who was the state's attorney general from 2002 to 2015. Morales added that he also did not discuss it with Daniel Hodge, the governor's chief of staff and a former high-ranking official at the attorney general's office. Several years ago, Abbott’s office launched an investigation into whether the school was deceptively marketing its pricey seminars, which some Texans say failed to deliver many benefits. Trump University ultimately closed up shop in Texas, and Abbott’s office decided not to sue over any allegedly illegal business practices, though some staffers wanted to ask for a $5.4 million settlement. One member of the consumer protection division — former deputy chief John Owens — said his bosses gave Trump special treatment. 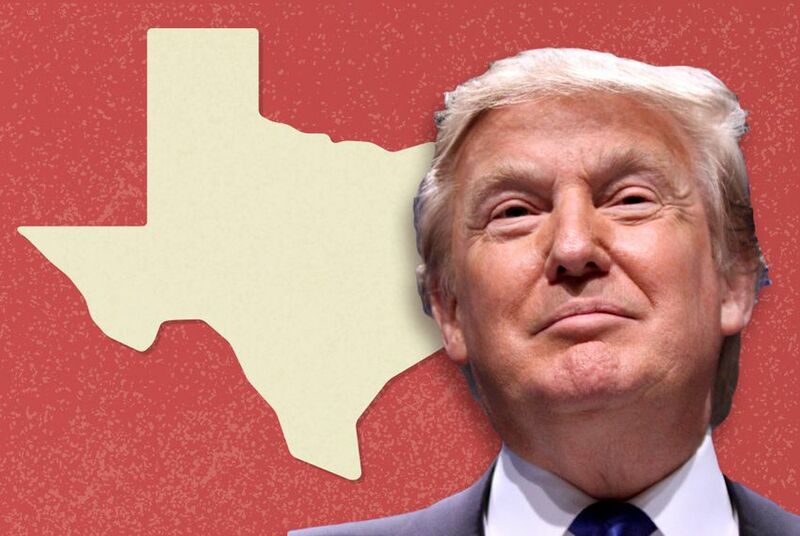 More than three years after Trump University effectively ceased operations in Texas, Trump made two contributions to Abbott's gubernatorial campaign, one for $25,000 in July 2013 and the other for $10,000 in May 2014. Abbott's office has brushed off any suggestions that that the donations and investigation were linked, or that Trump's stature swayed the office's actions. Morales, now a lawyer in Austin for the firm Kelly Hart and Hallman, also rebutted the idea that politics or money played any role in his decisions. He said that Trump University agreed to suspend its Texas operations while the state was demanding documents, and in 2010 agreed to permanently leave. Morales added that he would have informed Abbott and other higher-ups of the decision after the fact. "I am proud that our Consumer Protection Division was able to get Trump University to immediately and permanently leave the State of Texas," the statement said. Trump has fiercely defended the school, which does not currently operate anywhere. He has said he will prevail in the lawsuits against the business and has pledged to re-open Trump University if he becomes president.